The unidentified flying object was seen some 200 years ago. Apparently, it “assumed the shape of a turtle and then that of a human skeleton” ascending and descending rapidly, according to mail which was reprinted in 2010 in The Papers of Thomas Jefferson: Retirement Series. Thomas Jefferson was an American Founding Father and the principal author of the Declaration of Independence. He served as the third president of the United States from 1801 to 1809, and he was a man who was informed about one of the first UFO sightings in the history of the United States. More than 200 years ago, a mysterious UFO was witnessed by people in the United States. It has now been revealed that a report about the UFO sighting was presented to former US President Thomas Jefferson. In fact, hundreds if not thousands of years ago, people all over the globe have been witnessing strange, inexplicable things in our skies. While some of these events were explainable like weather or astronomic phenomena, some sitting s have remained shrouded in mystery. Now, in the midst of increasing UFO sightings across the globe, and in days where UFO disclosure seems to be near, it has been revealed that 200 years ago, former US president Thomas Jefferson read a report about a UFO signing which occurred in the early days of the United States. in The Papers of Thomas Jefferson: Retirement Series reveals that a tavern keeper in Portsmouth, Virginia, and his friend had informed the former president about an unidentified flying object they saw hovering in the skies. The UFO which resembled a meteor at first had the ability to ‘shapeshift’ as the UFO attained the shape of a turtle as it hovered above the sky. “We the subscribers most earnestly solicit, that your honor will give us your opinion on the following extraordinary phenomenon. We saw in the South a Ball of fire full as large as the sun at Meridian which was frequently obscured within the space of ten minutes by a smoke emitted from its own body, but ultimately retained its brilliance, and form during that period, but with apparent agitation,” wrote the eyewitnesses in a letter written to the president, Express.co.uk reports. 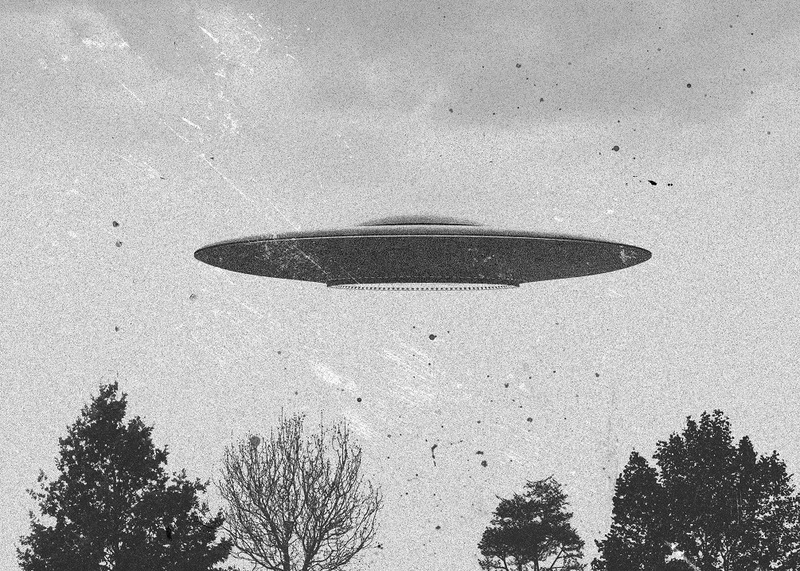 This report is considered one of the first UFO reports in the history of the United States. However, it still remains a mystery whether the former president answered to the witness statement or not. Interestingly, this was not the first mysterious object that was brought to the attention of Thomas Jefferson. In 1804, a report mentioning an Unidentified Flying Object was written and submitted by naturalist William Dunbar, and communicated to the American Philosophical Society by Thomas Jefferson, who at the time was the president of the Society, as well as the Vice President of the United States of America. Description of a singular Phenomenon seen at Baton Rouge, by Wikkiam Dibar, Esq. communicated by Thomas Jefferson, President A.P.S. Natchey, June 30, 1800. Read 16 January 1801. It was first seen in the South West, and moved so rapidly, passing over the heads of the spectators, as to disappear in the North East in about a quarter of a minute. It appeared to be of the size of a large house, 70 or 80 feet long and of a form nearly resembling Fig. 5. in Plate, iv. It appeared to be about 200 yards above the surface of the earth, wholly luminous, but not emitting sparks; of a color resembling the sun near the horizon in a cold frosty evening, which may be called a crimson red. When passing right over the heads of the spectators, the light on the surface of the earth, was little short of the effect of sun-beams, though at the same time, looking another way, the stars were visible, which appears to be a confirmation of the opinion formed of its moderate elevation. In passing, a considerable degree of heat was felt but no electric sensation. Immediately after it disappeared in the North East, a violent rushing noise was heard, as if the phenomenon was bearing down the forest before it, and in a few seconds, a tremendous crash was heard similar to that of the largest piece of ordnance, causing a very sensible earthquake. I have been informed, that search has been made in the place where the burning body fell, and that a considerable portion of the surface of the earth was found broken up, and every vegetable body burned or scorched. I have not yet received answers to a number of queries I have sent on, which may perhaps bring to light more particulars.